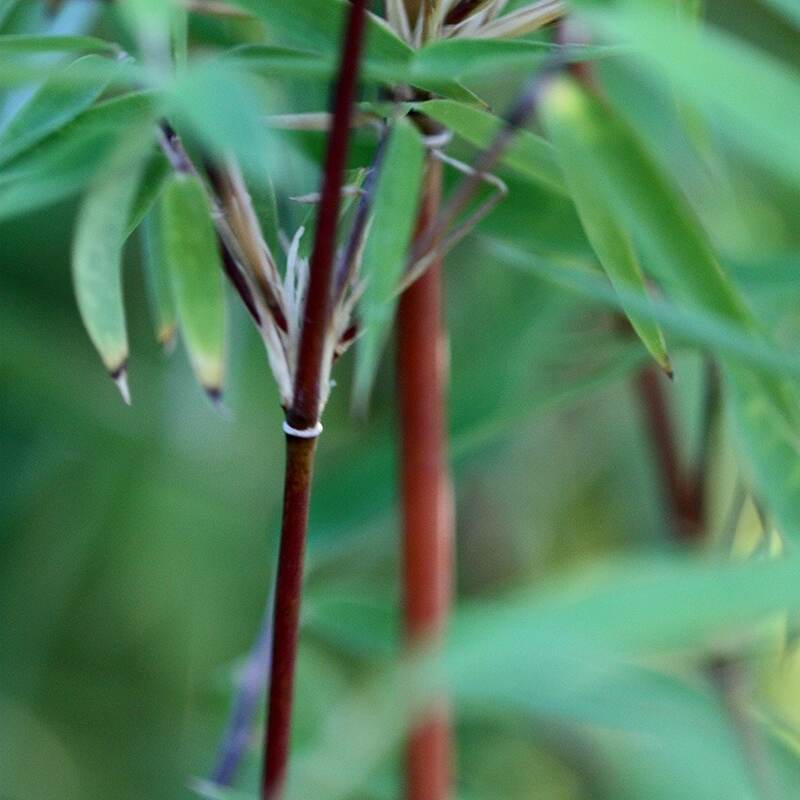 The upright canes of this beautiful, clump-forming bamboo emerge green, but turn golden orange, then rich reddish brown in their second or third year. This effect is more pronounced when grown in a sunnier spot. These colourful canes form a dense clump and are clothed in slender green leaves, which are retained throughout the year. The dense, upright growth makes this particularly good for hedging or narrow borders. I love this bamboo which I have planted in a large pot. It is slow-growing, maybe too slow-growing for some. I hope it has survived this very snowy winter. At the moment it has only a few leaves but the canes seem OK. Fingers crossed! A few questions about this type of bamboo - How tall would the plants be on delivery? How many plants would be required to make a good screen along a 4metre fence (I see that they spread to 1.5m) don't want it to look sparse for years. Hello, These plants are in a 2-litre pot, so they will typically be around 30 - 45cm tall. As for spacing for a screen, I would recommend planting them at 45cm intervals. I need to create a hedge that's no more than 1M tall, thin (eg no more than 20cm) and can protect a raised bed from footballs. And low maintenance as it would be hard to access one side of the plants. If I planted these in small containers would it work? It's light shade. Or could you suggest anything else? It says good for hedging or narrow borders, which is what I'm looking for but I wanted to know if there was any risk of it being invasive, as I don't want to upset the neighbours, or have to hack it back all the time either. We have a long (100ft) garden and I wanted to put something in the back that would quickly grow to a good height to shield a rather sad fence, the view of their house and make the kids trampoline not feel too invasive. Hi Plant Doctor, I have a few questions please, from a complete novice: 1.Does this Red Panda bamboo grow densely enough to provide very good privacy from neighbours? We are hoping to create a privacy screen/hedge with it, planting it up against our current fence. 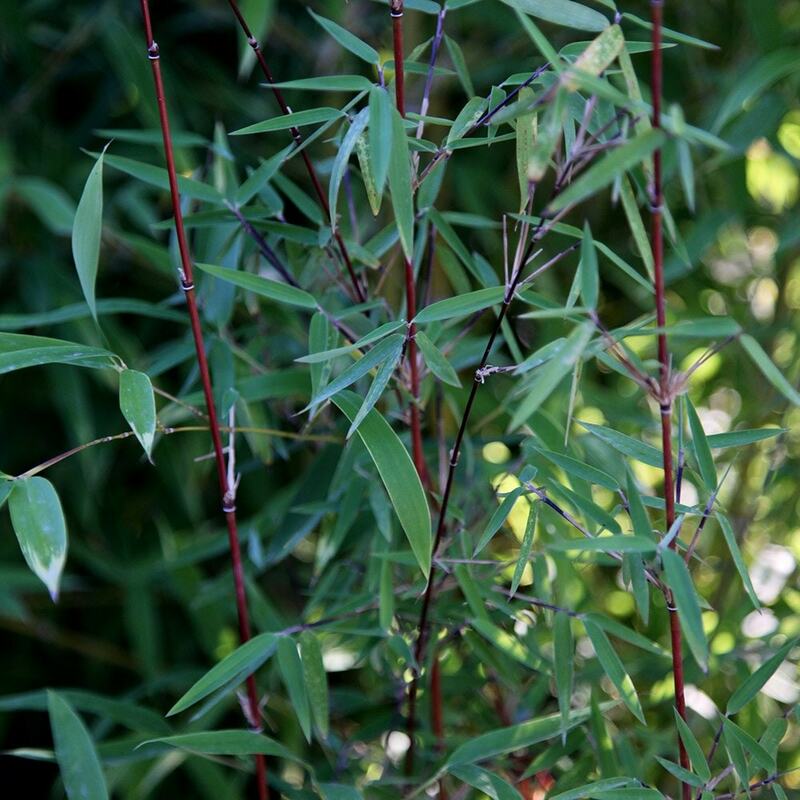 If not are there any other clumping bamboos you could recommend, to grow to around 7 feet? 2.Can it cope with clay soil? 3. Should we add anything to the planting hole such as soil improver, compost or some form of feed for it? 4.As it is clumping, is it unlikely to be invasive in any way? Many thanks! If the roots of this plant are restricted through putting them in a container or root barrier, will the plant still grow to the maximum height? Hello, It is unlikely to reach its full height, but if the pot is large enough and the plant is kept well fed and watered, it should still get quite large.